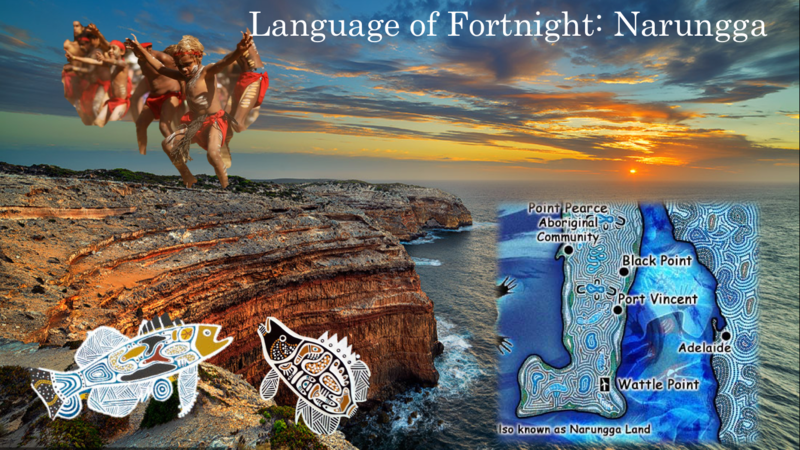 This fortnight’s language is Narrunga, which is a an Aboriginal language spoken by the Narrunga people. Sadly, there are not many speakers left. According to the 2006 census, there were only 24 speakers left. The Narrunga people are the traditional owners of the Yorke Peninsula. Djaran Goldsmith in Y2 MP will teach us a few words in Narrunga so watch this space!